It’s a tedious process to build a good reputation for your business online. If you are a small- to medium-sized business just starting out, it can be challenging to prove to prospects that your business is worthwhile. One of the ways that consumers gauge the quality of a business is by reading online reviews. These reviews are highly effective at building trust with your prospective client base, and people tend to trust these reviews as much as recommendations from their own friends or family members. Good reviews on your Google business listing will go a long way for you, but if you’re struggling to get organic reviews, it can be tempting to generate them on your own, or create good reviews to disguise negative or bad Google reviews. But this comes with its own problems. Google is constantly updating its algorithms to make the user experience better. One update has made it important for businesses not to create fake Google reviews that boost their services and products. SEO companies in Toronto need to be careful not to include these fake glowing testimonies as they can be identified by reputation management companies and taken down. Google’s bread and butter is data. The search engine giant is proficient at tracking and predicting trends. It’s also good at recognizing unnatural reviews, and if your business is targeted, you can face penalties. If your reviews seem inauthentic, and Google sees you are trying to game the system, they will lower your ranks for relevant search terms. As a result, traffic to your web site will be decreased, causing a steep drop in your revenue. More recently, reviews have become a prominent part of digital marketing, and as consumers are trusting these testimonials more and more, Google and regulators have made it their mission to quash deceptive marketing tactics. If your company is found to be producing false reviews, you can be slapped with huge fines, and this goes beyond Google. Reviews on Yelp, Facebook, and other sites also count. Not only do fake reviews make you look inauthentic to Google, but they also demolish the trust between you and your prospects. There are many companies around the world that profit from selling fake reviews online. These are generally businesses from overseas who employ workers who accept a very low wage for these services. They can write thousands of reviews per day, but in general, they only speak rudimentary English. Consumers are constantly getting smarter and are better able to recognize signs that a review is inauthentic. If they notice that there are only poorly constructed comments posted at unusual hours of the night, they will be wary of trusting your business. 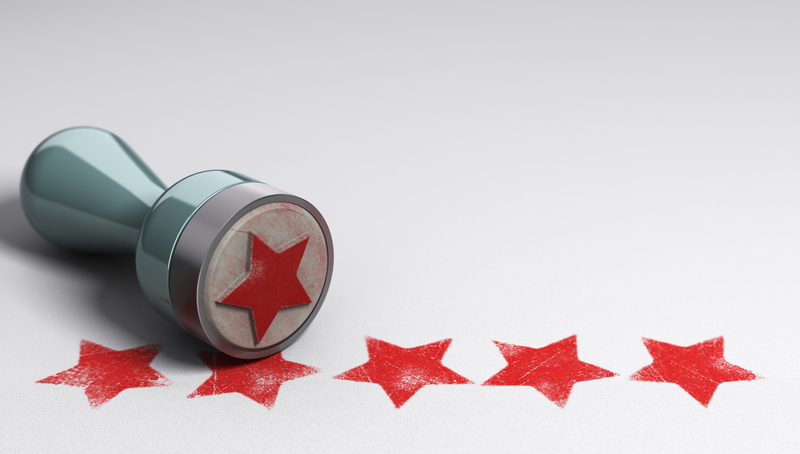 Even if you have managed to avoid all the consequences previously mentioned, it’s still possible that your reviews may face another problem: Appearing too good to be true. Almost every online business has a few negative comments spread throughout. If your page only has good reviews that are lavished with positive adjectives and praise, consumers may suspect you are tricking the system. You may not be able to have a bad or fake review removed once it’s up, but you can respond to it. Obviously, a fake review leaves you unable to resolve a problem, but you can make it clear to other customers and prospects that you are aware of the review, that you take the issue seriously, and that you will dedicate yourself to resolve situations like that one. If you are unable to respond in a calm and professional manner to a bad review, it’s better not to respond at all. It can be upsetting to see a negative review, but the way you respond reflects the company. By flagging a fake review on your page, you can notify the team at Google regarding this violation of their review policy. You will need to report the comment and will only hear back if a team member needs additional or supporting information from you, or if they have feedback. How does it violate Google’s policies? If you’re looking for the best online reputation management in Toronto to help you with your online presence, contact Numero Uno Web Solutions. We provide our clients with many marketing solutions such as SEO services in Toronto, ORM strategy development, content audit services, online reputation management, web designing and development, SMO, and more. We are a search engine optimization company in Toronto that specializes in helping small- to medium-sized businesses improve their web sites. For years, we have helped clients across the Greater Toronto Area, Texas, Massachusetts, and Florida boost their marketing strategies and grow their businesses. Call us at 1-855-SEO-XPRT to learn more about the services and expertise we provide at our Vaughan location.